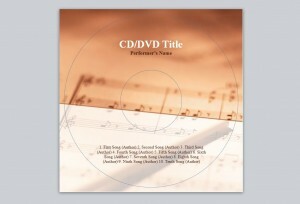 You may need to use an Avery CD Template if you are an avid music lover. Expansive musical libraries require standardized organizational systems. It may seem daunting to have to create CD labels for multiple CDs but an Avery CD Template makes the task streamlined and efficient. You may want to label CDs to organize musical collections, decorate CDs or create thoughtful mix CDs for friends or family. It is easy to create high quality CD labels with an Avery CD Template. With custom CD labels you can browse your music collection hassle-free and give your collection a sleek look. CD use is not limited to music. You can also use an Avery CD Template to create labels for presentations, DVDs, and file storage. 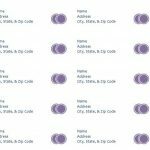 This customizable template allows the user to enter any information they may want on their CD. 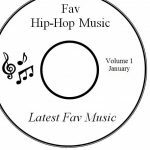 Artist name, album name and track listings are standard but the creative possibilities are endless with photos, lyrics or personalized messages. The template is available for free on this page and can be downloaded at any moment. To use the template simply open it in your word processor, design your CD label with any information, graphics and style you choose and print. CD album covers and spines usually feature artist and album name while the reverse side has track listings and time markers. This template will save you from the hassle of formatting and starting from scratch. Before beginning work on creating CD labels, it is helpful to gather all artist, song or album information to guarantee a faster label making process. If you are using the CD as a file storage device, remember to include file names and applicable passwords. When printing CD labels, and inkjet printer is recommended because it provides the highest quality gloss print that give your CD covers a professional touch. Before printing the labels on label paper, perform a test print with regular printer paper to ensure alignment, font size and color are all correct.